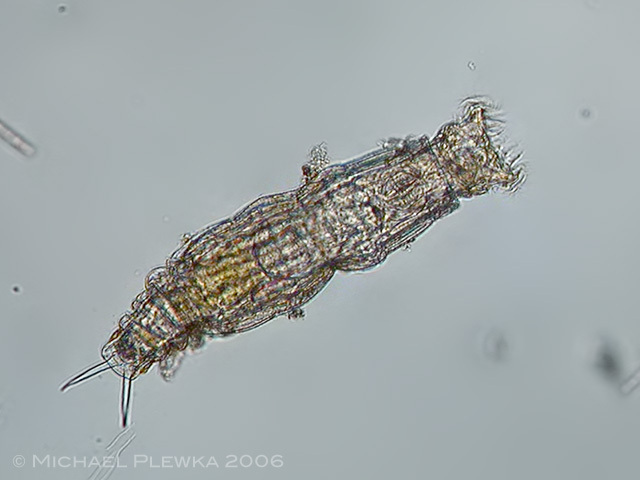 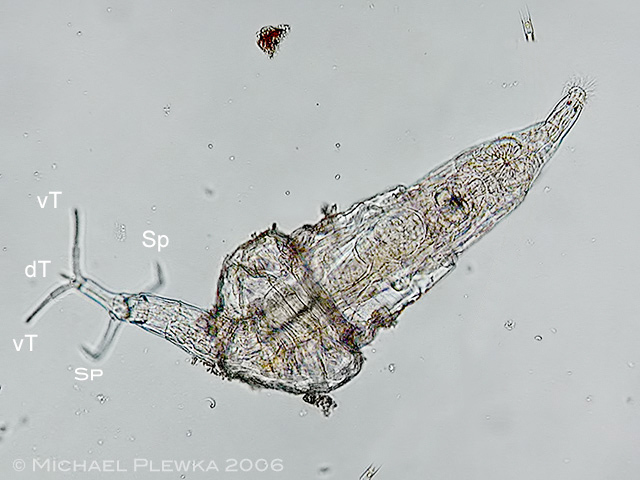 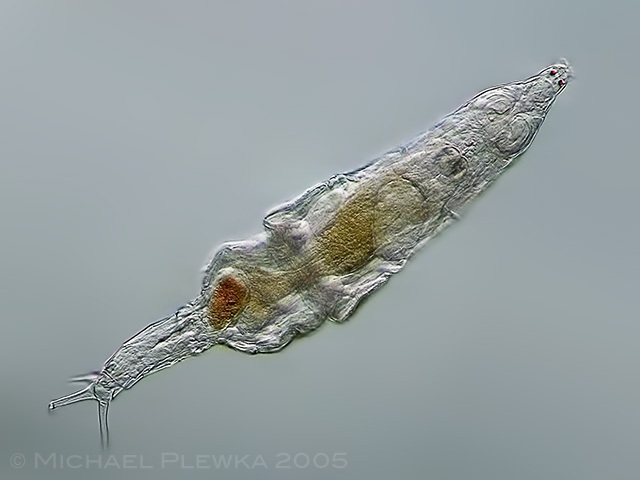 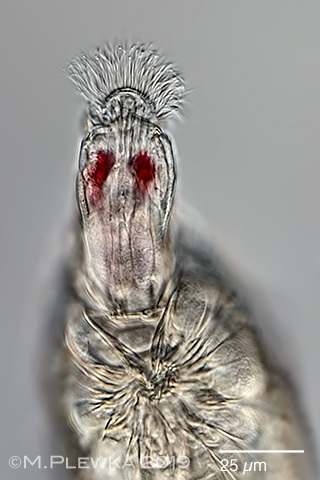 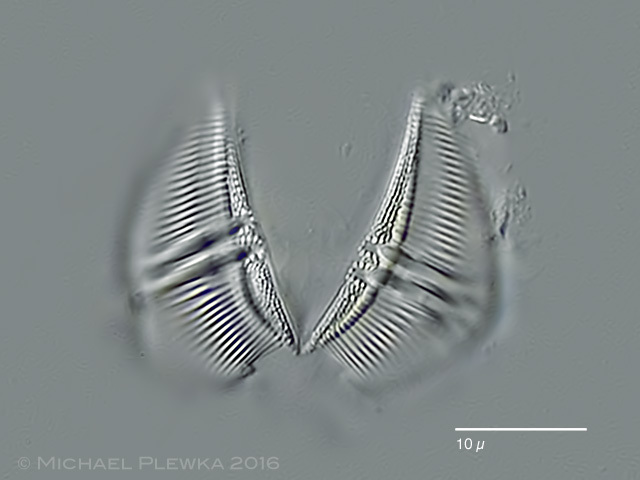 Rotifers of Germany and adjoining countries: Rotaria neptunoida Harring 1913, Philodinidae/ Bdelloidea/ Rotifera/ Syndermata. 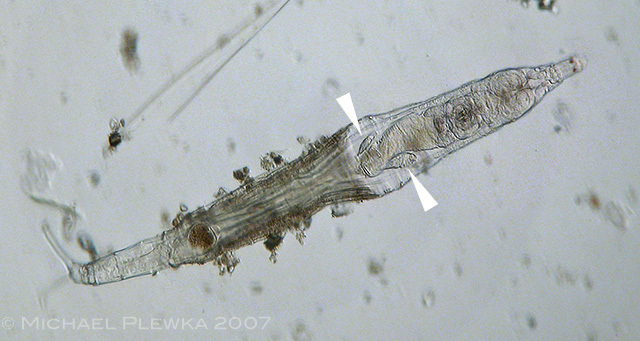 Rotaria neptunoida, rostrum while creeping from a specimen from (5). 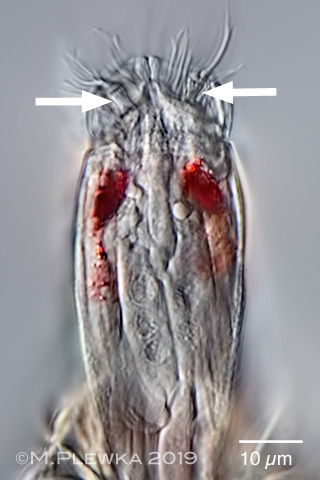 Left: focus plane on the cilia of the rostrum. 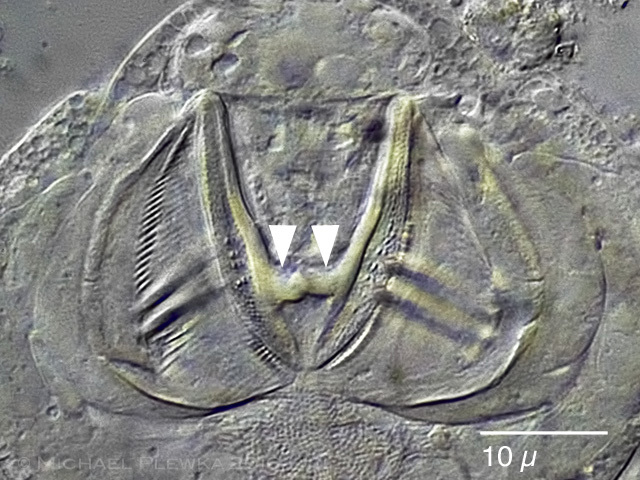 Right image: two papillae (arrows) with ?sensory? 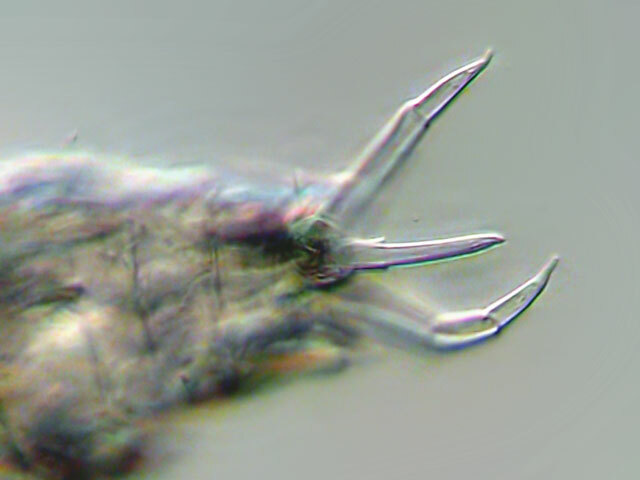 cilia/ bristles which are permanetely in movement. 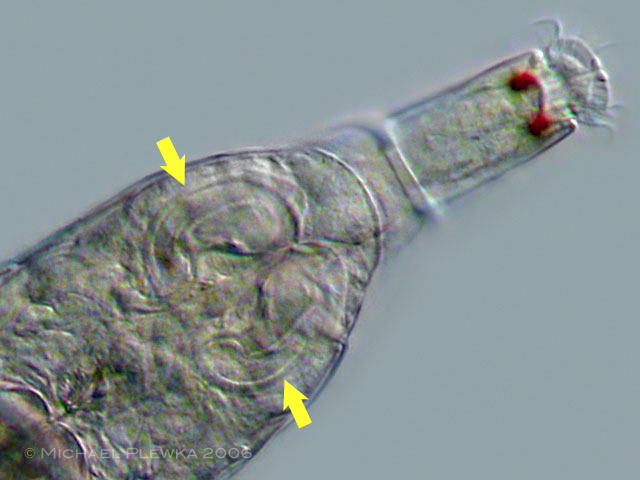 Often the pigment of the red eyespots in the rostrum seems to "dissolve" in Rotaria species.